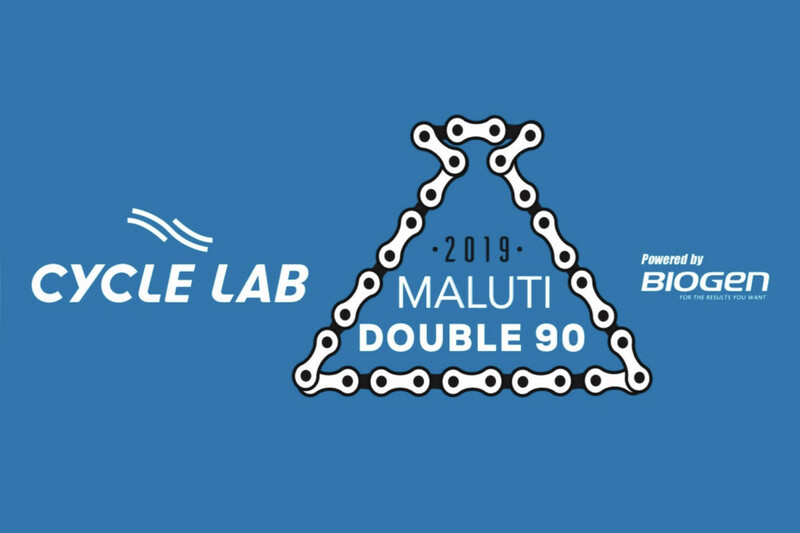 The Pedal Power Association is proud to announce that the 2019 Cycle Lab Maluti Double90 powered by Biogen team cycle challenge will take place in Clarens on Saturday 13 April 2019. Early bird entries are unfortunately already closed but normal pre entries are still available online at R9300 per team entry. Team Administrators will be able to add the names of team members, and manage their teams on the Team Admin page where they will be able to see who has been added to their teams, and remove riders no longer participating. The link to this page will be uploaded after team entries have opened. Please note that teams will be disqualified for not listing their riders correctly and the onus is on the team captain to ensure that the Events Office has been notified of any changes. No rider may be changed / substituted on the day of the event. Please see the Event rules for more information. Need a team member, or team? See the notice board. Friday 12 April 2019 (15h00-18h30) at the Protea Hotel, Clarens in the foyer next to reception. Substitutions may only take place at registration and a R200 admin fee will be payable for each substitute rider and/or late addition and/or amendment to a team. Teams who do not follow the correct substitution procedure will face disqualification of the whole team. BIOGEN: Our race nutrition and rider fuel sponsor, Biogen will have a table at the latter part of Registration (16h00-18h30) where pre-ordered product can be collected, and further product for the event purchased. BIKE MECHANICS: Cycle World from Bethlehem will have a mechanic on stand-by at Registration to assist with any last-minute problems. They will also have some spares for sale. The Cycle World mechanic will also be available from 05h30-08h00 on the morning of the event (on the Square), whereafter they will go to the Supporter Zone. FRIDAY NIGHT PRE-RACE MEAL: The Protea Hotel Clarens will serve a sit down buffet of pastas and salads from 18h00-23h00 in the Adamo Restaurant for R175 pp. PLease book directly with Protea Hotel. 1.1 To compete in the Maluti Double90, riders must turn at least 18 (eighteen) years old in the year of the event. 1.2 The entry fee of R9 300 per team will not be refunded if the team is unable to participate in the Maluti Double90. Should the team find another team to replace them, this change will be implemented free of charge until 15 March 2019. Should the withdrawing team wish to sell their team entry, they may not sell it for more than what they originally paid for it. 1.3 If cyclists who are entered into a team are unable to take part in the event and wish to have their entry substituted, their entry in the team may be substituted at no charge using the online management system, until 09h00 on 15 March 2019. After the substitution closing date, any additions to the team and any substitute rider must pay a substitution fee of R200, payable at Registration. The team captain must ensure that the substitute rider follows the correct substitution procedure – team captains will be notified. If the correct procedure is not adhered to and a substitute rider is found to be riding illegally, the entire Team will be disqualified outright and could face further sanctioning. The onus is on the team captain to notify the organisers of any/all substitutions. No rider may be changed (substituted) on the day of the event. This can only be done at registration, or prior to the cut-off for team finalisation. 1.4 The Maluti Double90 will take place regardless of bad weather and will only be cancelled, re-routed or stopped for reasons of safety. In this unlikely event, entry fees are not refundable. 1.5 It is each entrant’s responsibility to update their details. 1.6 Riders consent to the use of all photographic or video material pertaining to their participation in the Maluti Double90 made by the organisers or their assignees during any activity deemed to be part of the Maluti Double90 at any time in the present or future. 1.7 The organiser reserves the right to refuse any person’s entry, or cancel any person’s entry up to the day before the Maluti Double90. Please see the waiver and indemnity in the applicable tab. By entering online or starting the event, I confirm that I understand the above information and I have exercised my choice voluntarily and the clauses as indicated in bold and underlined, have been drawn to my attention and that I have had adequate opportunity to read and understand the terms and conditions and that I understand and agree to be bound by them. 2.1 The Maluti Double90 is a team event and team members should cycle together. Teams must consist of between six and twelve members in order to obtain a result. The time of the sixth cyclist across the finish line will be taken as the team’s official time. Team members finishing behind the sixth cyclist of that team, will receive their actual finishing time, and will be listed as finishers, provided that they finish within the cut-off time. A team with less than six riders will be allowed to start the event but will not receive an official team result. Teams finishing with fewer than six members will not be eligible for any prizes and will receive the time of the last rider in that team. 2.2 Each rider must participate with a RaceTec (or Winning Time) timing chip and shall not ride with another rider’s number or timing chip without adhering to the substitution procedure referred to in clause 1.3 above. A person who has entered shall not give his/her number and/or timing chip to another person to use. No chip, no ride, no result. Teams will be checked in the line-up to the start. Teams will not be allowed to start without all their team members wearing timing chips. 2.3 Riders may not tow (be connected by means of any physical object) any fellow rider within his/her team or any other rider from another team. Riders of the same team may push other riders of the same team or hang on to fellow riders of the same team (using hands) but need to do so only when it is safe to do so. • Friday 12 April 2019 (15h00-18h30). No registration will be done on the morning of the event. 2.5 Registration will be done per TEAM, and not per individual. Team captains are responsible for the collection of the race packs for the whole team and for distribution thereof to the individual team members. If team members are substituted at Registration, please note there is a fee of R200 per change. 2.6 The start times and start order will be communicated to the team captains and uploaded to the website one week prior to the event. Starting times must be strictly adhered to. If for whatever reason, your team starts late, your official completion time will not be adjusted – your time starts ‘counting’ at your official start time and does not get adjusted if you arrive late at the start line. 2.7 Teams must present themselves for line-up in the start area at President’s Square, Clarens, no later than 20 minutes before their scheduled start time. Please note that several ‘no parking’ zones around the Square will be enforced on the day and we strongly recommend that teams cycle to the start. 2.8 Teams are allowed to have ONE support vehicle only. The registration number of these vehicles must be given to the organisers by the team team driver during the official Support Vehicle driver briefing on Friday 12 April 2019 , 18h00 (venue to be confirmed). Teams will be disqualified should they have more than one vehicle per Support Zone, or any unofficial support vehicles at the Support Zone or on the route, or if the support vehicle does not display the official event signage. 2.9 PLEASE NOTE, Team support vehicles may not follow their teams whatsoever along the route. They may only assist their teams at the one Support Zone in Kestell and will not follow their teams along the race route to Kestell, but will travel to and from Kestell via the N5. It is the responsibility of the team captains as well as the team’s support crews to know these areas as teams WILL face disqualification should a support crew be found supporting their teams anywhere but at the demarcated team assistance area. This is a strict safety conscious decision and a ZERO TOLERENCE approach will be taken. 2.10 All support vehicles must clearly display the identification signage as supplied by the organisers. Also see 2.11. 2.11 COMPULSORY SUPPORT VEHICLE DRIVER BRIEFING: All support vehicle drivers must attend a briefing at 18h30 on Friday 12 April 2019 at the Protea Hotel Clarens. The briefing will outline the rules pertaining to support vehicles as well as the penalties that could be instilled on the team. Team vehicle signage will be handed out at this briefing. Teams will be summarily disqualified if team support vehicles do not carry the necessary official event identification, or abide by the event rules and regulations. 2.12 Cyclists who cannot continue from Kestell or who miss the cut-off must withdraw from the event and get into their support vehicle. Cyclists who cannot continue anywhere else along the route will be collected by a sweep vehicle. 3.1 Every rider shall ride carefully and with due regard to the safety of other cyclists and other road users. 3.3 Every rider shall immediately comply with the instructions of the Maluti Double90 marshals, motorbike marshals and/or traffic officers. All Maluti Double90 appointed staff and crew will be clearly identifiable. 3.4 Every rider shall immediately provide the relevant information as requested by a Maluti Double90 marshal, motorbike marshal and/or traffic officer. All Maluti Double90 appointed staff and crew will be clearly identifiable. 3.5 Every rider shall keep as far to the left of the road surface as is safe having regard to the circumstances and conditions. Riders will not cross the median or white line, unless specifically so instructed by a traffic official. 3.6 Every rider shall at all times display his/her race number legibly and ensure it is pinned on to the back of his/her shirt. Riders are also requested to affix the number provided to the front of the handlebars and helmet. This will assist with easy identification of teams and will help the crew to guide riders to the correct group on the morning of the event. 3.7 Every rider shall identify him/herself and give his/her personal details upon request to a Maluti Double90 marshal, motorbike marshal and/or traffic officer, and to any other rider and/or official requesting such information after a collision or race incident. 3.8 A rider shall not ride a bicycle fitted with triathlon, time trial or “Spinachi”-type bars and the organisers reserve the right to disallow the use of certain types of bladed wheels that are considered unsafe. 3.9 Every rider shall ride the full Maluti Double90 course or retire if he/she does not complete the full Maluti Double90 course. Riders who did not complete the full course under own steam, undertake to not cross the finish line and timing mats. Failure to do so will result in disciplinary action against the rider and the team may be disqualified in its entirety. 3.10 Riders are required to reach the Maluti Double90 finish line in Clarens by 16h30. Cut-offs will also be implemented along the route. A sweep vehicle will indicate the rolling closure of the course. The rolling road closure is calculated from the time the last team crossed the start line. Any rider found on the route after the cut-off time, will face disqualification. 3.11 Each rider must complete the route within 9 hours of elapsed riding time in order to receive a result. 3.12 There will be a 15min “time out” period given at the Supporter Zone. 3.13 A rider may not use a personal music system, e.g. iPod, or a radio communication device, including a cellular phone, whilst riding. 3.14 A slower team may not draft a faster team and the onus is on the team being overtaken to fall back and open a gap immediately after being overtaken. Teams will be disqualifies for drafting and/or riding together. Should an individual cyclist be dropped from their team, he/she may ride behind another team if that team gives their permission. Such a rider must not interfere with the speed that this team is travelling at. 3.15 A rider shall not use foul or offensive language or make offensive, indecent or inappropriate gestures. 3.16 A rider shall wear clothing appropriate for a family event at all times. Our minimum requirement is a cycling top, cycling pants, helmet and the appropriate footwear. 3.17 A rider shall not dispose of any litter – including water bottles, gel sachets and food – along the Maluti Double90 course, except in refuse bins. 3.18 A rider shall not smoke on the route during the Maluti Double90, except at a designated smoking area if provided. 3.19 A rider may not start or attempt to start before his/her designated start group. Any rider who does so may be disqualified. Riders or teams who start after their designated start time, will not have their start time adjusted. 3.20 A rider shall complete the Maluti Double90 course with his/her own effort and shall not receive any assistance in this regard other than drafting behind or being pushed by another rider or riders of his/her own team in the TOKENDouble90. No slipstreaming of motor vehicles, nor holding onto motor vehicles is permitted whatsoever, with time penalties or possible disqualification for a team or any individual team member who slipstreams motorised vehicles. Motor vehicles may not pace riders back to their teams, or to other riders. Cyclists may receive assistance from other participants in the event. 3.21 No participant may accept a lift in any vehicle for any part of the route, except when withdrawing from the event. 3.22 The N5 is dangerous with fast-moving traffic. Teams must therefore ride in single file within the road shoulder from the turn-off from Clarens onto the N5 (at roughly 30 km) until exiting Bethlehem, and exercise extreme caution when overtaking another team. The section through the Golden Gate reserve does not have a generous road shoulder and teams are requested to stay left and ride no more than two abreast, except when overtaking another team. Other than at the start and finish and Supporter Zone, there is no road closure along the route and teams are expected to obey all traffic rules. 3.23 TEAMS MUST STAY APART: One team may not, under any circumstances, join another team along the route and teams are required to remain apart, except when overtaking. 3.24 When a team overtakes another team, they must ride in single file until clear of the other team. 3.25 We appeal to participants to ride no more than two abreast, in order to assist with the easy flow of traffic. 3.26 A rider shall be responsible to other riders for the proper control of his/her bicycle. 3.27 A rider shall provide reasonable assistance to any other rider involved in an accident while participating in the Maluti Double90. 3.28 A rider may not participate whilst under the influence of alcohol or any drug or medication that prevents or might prevent a rider from properly controlling his/her bicycle. 3.29 A rider shall not display on his/her bicycle, clothing and cycling equipment any writing, logo or item that is offensive or that may bring the Maluti Double90 into disrepute, as determined by the Pedal Power Association. 3.30 A rider who is informed by a Maluti Double90 marshal that his/her conduct may lead to him/her being disqualified shall immediately report to the organiser’s office when completing the course. 3.31 Any reasonable medical or emergency evacuation costs incurred on behalf of a rider by the Maluti Double90 will be for the cost of the rider. 3.32 Team categories will be determined by the first 6 riders from each team that crosses the finish line, and not according to the way the team is entered. Categories for the 2017 Maluti Double90 will be Open, Mixed, and Ladies. Six teams must start in a specific category for prizemoney to be awarded in that category. • Ladies – all Ladies Teams must have only ladies starting in their team. This team may have any number between 6 and 12 riders. • Mixed – a minimum of 3 ladies need to finish within the first 6 riders of this team. Failing to do so will result in this team being classified as an Open Team. There will only be a first place prize awarded in this category, provided there are at least 5 mixed teams competing. • Open Team – An Open Team may consist of male riders only, or teams with less than 3 female riders. • Teams with single bikes and tandems combined will be given an official team time (Open Team) but will not be eligible for any team prizes. 4.1 Every rider entering the Maluti Double90 consents to his/her name and/or race number being publicly displayed and publicised (including on the internet) in the event that he/she is disqualified. 4.2 A rider may be disqualified summarily without a hearing by the protest panel, the Race Director or Chief Commissaire. 4.3 Such summary disqualification may be done immediately or after the finish of the Maluti Double90, but no later than 10 working days after the event. 4.4 In the event that a rider is aggrieved by a summary disqualification, he/she may request in writing to the Protest Panel 60 minutes after being informed of the summary disqualification, but no later than 15h00 on race day, to be reinstated. Such a rider may supplement such a request for reinstatement in the event of him/her receiving further information at a later time. The tribunal appointed may extend this time on good cause shown. The Protest Panel will be stationed at the JOC which will be at the Protea Hotel Clarens. 4.5.3 Order that further information be obtained. 4.5.4 Impose additional penalties including a fine of up to R1 000.00 (one thousand rand) and/or recommend to the Pedal Power Association that the person or team shall not be eligible to compete in the Maluti Double90 in future. 4.6 In addition, whether or not a rider or team has been summarily disqualified, the tribunal appointed for the purpose may, on notice to a rider by e-mail or other means of communication, call a hearing to determine whether a rider should be disqualified or another penalty imposed for a breach of the rules. 4.7 In the event of a disqualification, whether summary or after a hearing, a rider or team shall forthwith return any prize previously awarded to the team and comply with any sanctions imposed. 4.8 The chairperson of the tribunal shall determine the procedure to be followed at any hearing, including whether a hearing shall be conducted on written evidence and representations only or also an oral hearing, and the nature of evidence (including hearsay) to be allowed. A rider shall not be entitled to legal representation at such a hearing, except with the permission of the chairperson of the tribunal. The tribunal shall make decisions on a balance of probabilities. 4.9 An appeal to the Disciplinary Sub-committee of the Pedal Power Association may be made in writing within 3 (three) days after the tribunal has delivered its decision. The Chairperson of the Disciplinary Sub-committee shall determine the procedure to be followed for such appeal. Please note that the PPA Disciplinary Sub-Committee is based in Cape Town. 4.10 Notwithstanding in other provision in these rules, protests related to racing categories, that may affect the outcome of prize category winners must be lodged to the race director within 30 minutes of the 6th rider of the team finishing, in writing, by no later than 14h00 on the day of the event. The protesting team will need to pay a R200 protest fee, which will be refunded, should the team’s protest be successful. Protests must officially be lodged at the JOC at the Protea Hotel, Clarens with the Race Director or Chief Commissaire. 4.11 Based on the information provided, the Protest Committee will decide to accept or reject the protest until such time that they feel there is enough information to carefully consider the protest, if at all. 4.13 General objections & protests: Protests related to general infringements must be lodged to the race director within 30 minutes of the rider or team finishing, in writing, by no later than 16h00 on the day of the event. 4.14 Riders, or teams, that may be seen as transgressing, will be issued with a warning. Any of these teams are required to report to the Protest Committee at the JOC after your team has completed the event. Failure to report to the protest committee may result in action taken against your team, and no appeal will be considered. Team captains need to be contactable for the week after the Maluti Double90. In broad terms, this is an agreement with you that limits liability under certain circumstances for loss, damage or injury you may suffer arising from your participation in the event. It is important that you read and understand the contents hereof, as you will be bound to these terms. This Limitation of Liability and Indemnity applies to all participants. It does not matter who or how you entered for the event. This Limitation of Liability and Indemnity applies to you even if someone else submitted your entry. Any person who enters someone else for an event warrants that they have been authorised to do so and can legally bind the participant to this agreement. Can minors participate without their parents’ or guardians’ consent? No. If you are a minor, i.e. younger than 18, you may not participate unless the organisers have accepted your motivation to be included in a team, and your parent(s) or your legal guardian(s), have agreed to be bound by this Limitation of Liability and Indemnity. If you are a minor, by giving permission for you to participate in the event, your parents or legal guardians agree not to bring any claims against us for losses or damages they may suffer as a result of injury or death you may have suffered as a result of your participation in the event. They also agree to only claim on your behalf for losses, damages and injuries you may suffer as a result of your participation in the event to extent allowed for in this agreement. IF YOU ARE ENTERING ON BEHALF OF YOUR MINOR, YOU CONFIRM THAT YOU ARE DULY AUHORISED IN LAW TO ACT AND LEGALLY BIND THE MINOR. YOU AGREE TO HOLD US HARMLESS FROM ANY CLAIMS AGAINST US AS A RESULT OF THE ABSENCE OF SUCH LEGAL AUTHORITY. PLEASE NOTE THAT PARTICIPANTS NEED TO BE 18 OR OLDER IF THEY WISH TO PARTICIPATE IN THIS EVENT, UNLESS PERMISSION HAS BEEN EXPRESSLY OBTAINED FROM THE ORGANISERS. Are there risks associated with this event? Yes. It is an event with many participants. Some are professionals, but others are novices. The event takes place on public roads, and includes tough hills. The event is a large sports event attracting over 1000 participants, and takes place at high speeds on an extended course running over a varied terrain. You accept that we cannot manage all potential risks, even foreseen ones, otherwise it would not be feasible to organise this event. YOU THEREFORE UNDERSTAND THAT THERE ARE RISKS AND HAZARDS ASSOCIATED WITH AN EVENT LIKE THIS AND THAT THE POSSIBLE EFFECTS OF THESE RISKS CAN RANGE FROM MINOR INJURIES TO SEVERE INJURIES TO DEATH, AND IN RELATION TO YOUR PROPERTY CAN RANGE FROM MINOR DAMAGE TO SEVERE DAMAGE TO COMPLETE DESTRUCTION OR LOSS. Who are covered by this Limitation of Liability and Indemnity? The Pedal Power Association (including our executive committee members, staff and crew) are covered by this Limitation of Liability and Indemnity as well as the volunteers who help with the event, the local authority (authorities) where the event is held, the road operator(s) and road maintenance agencies if the event takes place on a road under its concession. Doctors, paramedics and other medical personnel who attend to you at the event do so independently from us and they are not our representatives or contractors. It is you choice to make use of these services and you do so at your own risk. Can you claim from PPA for any loss, damages or injuries resulting from the event? AS FAR AS THE LAW ALLOWS, WE ARE NOT LIABLE TO YOU FOR ANY LOSS, DAMAGE, INJURIES OF DEATH YOU MAY SUFFER FROM PARTICIPATING IN THIS EVENT UNLESS THE LOSS, DAMAGE, INJURIES OR DEATH RESULTED FROM OUR NEGLIGENCE AND THE CLAIM IS COVERED BY OUR PUBLIC LIABILITY INSURANCE COVER. THIS LIMITATION ALSO APPLIES TO ACTIVITIES ASSOCIATED WITH, OR INCIDENTAL TO, THE EVENT OR FROM USING ANY FACILITIES OR SERVICES WHICH ARE PROVIDED AT THE EVENT BY THE PARTIES covered above. WE DO NOT UNDER ANY CIRCUMSTANCES ACCEPT LIABILITY FOR ANY INDIRECT, SPECIAL, CONSEQUENTIAL OR PUNITIVE DAMAGE. THE EVENT IS ORGANISED ON A BEST EFFORT BASIS AND ALL WARRANTIES AS TO THE QUALITY OF THE EVENT ARE DISCLAIMED TO THE MAXIMUM EXTENT PERMISSIBLE AT LAW. The content of the Limitation of Liability and Indemnity must be interpreted to the extent necessary to ensure compliance with the Consumer Protection Act 68 of 2008. If a court finds that any part of this Limitation of Liability and Indemnity is void, such finding will only apply to that part and the rest will remain valid and binding. YOU AGREE THAT THIS LIMITATION OF OUR LIABILITY APPLIES TO YOU, YOUR ESTATE AND YOUR DEPENDENTS. Parents, legal guardians or dependents of a participant may claim against us, but only insofar as the participant who suffered the damages in the first place had a claim against us under the abovementioned clause and subject always to the terms of this Limitation of Liability and Indemnity in respect of such claim by the participant. YOU AGREE TO HOLD US HARMLESS FROM ANY CLAIMS AGAINST US BY OTHER PARTIES (SUCH AS YOUR SPOUSE, DEPENDENTS) AS A RESULT OF YOUR LOSS, DAMAGE, INJURY OR DEATH. Do we have insurance cover? Yes, we have a public liability insurance policy in place, but our insurance cover will only pay out subject to the policy’s terms. Are there other rules that apply to the event? Teams and/or riders will be disqualified for receiving feeding or support of any kind (mechanical, being paced) along the route unless such support was provided by an event official or service provider. Teams may not draft one another. Our rules are there to promote your safety, and you agree to stick to the rules of the event and to obey our instructions. Other rules also apply to the event, such as the rules of sporting codes or bodies, the road, local government rules and any rules that apply to a facility or area used for the event. You expressly agree that we may collect, use and share your personal information on the basis and with the people as described below. When you create a profile and enter an event, we ask for information. This includes demographic information and information about your health. Your health information includes information about your medical aid and previous medical conditions. You, or the person who has entered you, are only source where we get your information from. The information shall be used for the purpose of communicating with you about other events we are involved in and to send you promotional material from the sponsors of the event you participate in. You agree that we may share your personal information with further necessary parties in order to run the event. We may give your medical information to any emergency or health professional attending to you on event day for purposes of giving you medical treatment and care. We will not give your information to anyone else unless you have expressly consented thereto.